Premold Corp is a custom molder of Reaction Injection Molded (RIM) plastic parts. To accomplish this we specialize in the tool making, molding, painting, EMI shielding, decorating and assembly of Reaction Injection Molding (RIM) parts. Premold specializes in Reaction Injection Molding (RIM) and short run production to meet your specialty product needs. We carefully review each project during the quoting stage, work closely with each customer and follow-up throughout production to ensure the success of each project. Premold Corp is constantly investing and growing to serve you better. In 2001 we purchased land and erected a new 30,000 square foot building to expand our production capacity. 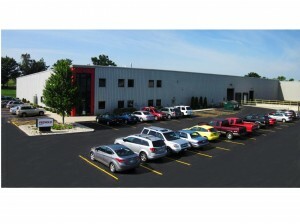 In 2012 we began another building expansion project, more than doubling our size to 68,000 square feet. We have expanded our facility for future growth and to manage our customers requirements. We’ve also added a new Reaction Injection dispensing unit, a new molding press, a new CNC machine and numerous smaller items. We offer you an online tour of our Factory. We also invite you to review our Equipment list.